Homeowner safety tips on our blog. Check it out! 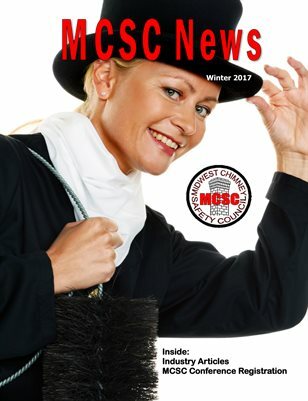 Get your FREE digital issue of our quarterly magazine starting in the winter of 2017 or get one in print when you join the MCSC. Find a professional chimney technician here! Anyone who works with chimney and venting technology is welcome to join our association of professionals. We are dedicated to providing public and professional education about chimney safety, installation, operation, and building practices. Educational workshops throughout the year: We put on workshops for our members to participate in 1-2 times per year. Our workshops and seminars have included: Inspecting chimneys, Chimney relining, Rumford Fireplaces, Masonry restoration and building, appliance installation, new products, business building, marketing, gas service, chase tops, cement crowns, stone and brick chimney restoration, and more. Members receive a discount to attend workshops. Ask about our chimney safety and operation classes available for public meetings, homeowner associations, realtors, home inspectors, and insurance adjusters. Educational seminars - hands on and classroom for professionals. See our event page for more information.